The Judicial Detention facility is located in the basement of the Judicial Center. The detention facility is manned and operated by (24) detention personnel and is supervised by one lieutenant and one sergeant. This unit is committed to maintaining a high level of security in the Judicial Center to protect the integrity of procedures, maintain the safety and security of those individuals that are incarcerated, ensure the physical security of court facilities, protect judges, juries, all participants in court proceedings, Charleston County employees, and the general public. The Sheriff Al Cannon Detention Center assigns offenders who are sentenced from various courts to the community service program to provide productive and meaningful work to government agencies, non-profit organizations and the cleanup of public roads. Worksites are obtained by contacting the Community Service Coordinator or the Assistant Coordinator from non-profit agencies, as well as local municipal government and specific community service projects. Roadside clean up are assigned on a rotating basis, or when requested by a citizen based on observation of an area of Charleston County jurisdiction, such as a roadway or property, in need of maintenance or clean up. The Charleston County Juvenile Detention Center is a 26-bed secure facility for male and female offenders up to the age of 17 who are awaiting court disposition. The facility is manned by (23) detention personnel. The Juvenile Detention Center is supervised by one lieutenant and four sergeants. In addition to a safe and secure environment, a variety of education programs and services are provided at the facility. 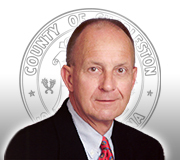 Education classes are provided daily through the Charleston County School District. Chaplains provide counseling and liaison services and conduct non-denominational worship services. A full time medical team provides routine and emergency medical treatment. A variety of leisure and group exercise activities are available to residents. Psychological evaluation and testing are provided. The Charleston County Juvenile Detention Center is a division of the Charleston County Sheriff's Office and is located at 4350 Headquarters Road, Charleston, SC 29405. The role of the Chaplain at the Sheriff Al Cannon Detention Center focuses on the spiritual care and nurturing of inmates currently housed in the facility. The responsibilities of the Chaplain include, developing and implementing inmate religious programs, services, and activities designed to provide inmates with reading materials and the opportunity to practice any religion no matter their denomination. The Chaplain also provides death and serious illness notifications as well as providing counseling to inmates who request her services. The Chaplain recruits and arranges for training of new chaplain's aides of all religions and keeps track of their volunteer hours. She arranges and provides church services for inmates housed in the detention center. She goes into the community and requests donations of religious materials from all denominations. She develops and maintains relationships with faith based community programs and participates in training and conferences. The Training and Staff Development Unit ensures that every Detention Deputy completes the mandated training requirements as set forth by State and Federal Law and the South Carolina Criminal Justice Academy. The Sheriff's Office strives to provide the best possible training for Detention Deputies. All Detention Deputies, within one year of their employment, attend the three week Basic Jail course of Instruction and are certified by the South Carolina Criminal Justice Academy. Prior to this certification officers under the direct supervision of a Field Training Instructor, who teaches them everything they needed to run a housing unit in the facility. Annual training includes Interpersonal communication Skills, American Heart Association First Aid and CPR, Defensive Tactics and Detention Center Policies and Procedures. Specialized training is also available in TASER or firearms.